Most businesses out there likely feel that their social media presence could benefit from having more loyal followers. The problem here is that it is often difficult to actually find those who will follow you, interact with your content, and share your brand with their followers in return. However, there is one thing businesses can use that is a great springboard for their online marketing and having more overall success on various social media platforms: hashtags. While hashtags are now pretty ubiquitous, the proper use of hashtags for a business can allude some. So to help those who may be struggling with how to appropriately use hashtags to benefit their business on social media, here are three tips for getting the most out of your hashtags use. Although hashtags originated on Twitter, almost all popular social media platforms now allow users to participate using hashtags. If your business has profiles on social media sites like Facebook, Instagram, Pinterest, YouTube, Google+, Tumblr, Vine or Flickr and you’re not using hashtags, Pam Neely, a contributor to Business2Community.com, shares that your business is missing out on some prime exposure. Because all of these sites let users search using hashtags, businesses who are not taking advantage of hashtags on all available social media platforms are forcing themselves to be on the outskirts of their communities. The only way to get on the inside — where you should want to be as a business — is to always use hashtags when available and relevant. While hashtags will make it easier for you to participate in online communities on various social media platforms, there are some right and wrong ways to go about it. According to Eric Sornoso of Social Media Examiner, a marketer should never use more than 3 to 5 hashtags on any post, regardless of how many hashtags the platform allows you to include. Once you cross this threshold, you begin entering territory that includes either too large of an audience base or hashtags that are not as relevant. Either one of the these two options is bad for your business and your brand. To maintain your the integrity of your company as well as get the best, most pinpointed exposure for your brand, keep your hashtags limited and focused. Using hashtags is a great way to get more eyes from people on your brand, but they are also a great way to build a community around your company by getting involved in already functioning communities. Taylor Loren of Hootsuite states that by leveraging hashtags to search for specific communities, you can find patterns in which hashtags are finding success and take advantage of those real-time marketing moments. By keeping track of what hashtags are being used by your target audience, you can use those hashtags yourself to ensure you are seen by those most likely to want your product or service via social media. By using hashtags on the right platforms and in the right context, companies can really see a huge increase in the size of their communities as well as the amount of success they have with their social media marketing overall. 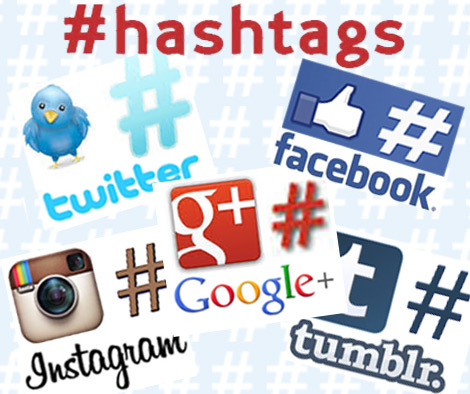 Use the tips mentioned above to help your company conquer hashtags today.